This idea was born on Pineapple day. 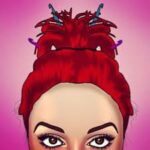 Yeah, who knew there was such a thing, but apparently there is as we seem to have a day for everything anymore. 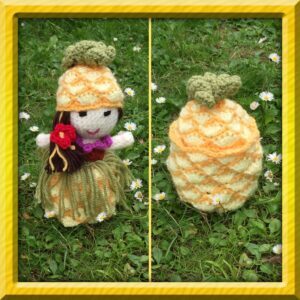 Pineapple day is June 27 or at least it was this year. 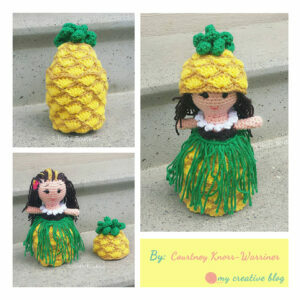 None the less, This celebration of Pineapples had me seeing Pineapples everywhere and sparked my imagination. 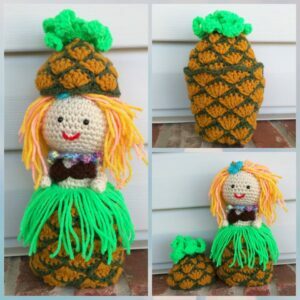 Pineapples are a good representation of summer. 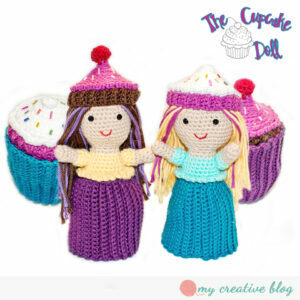 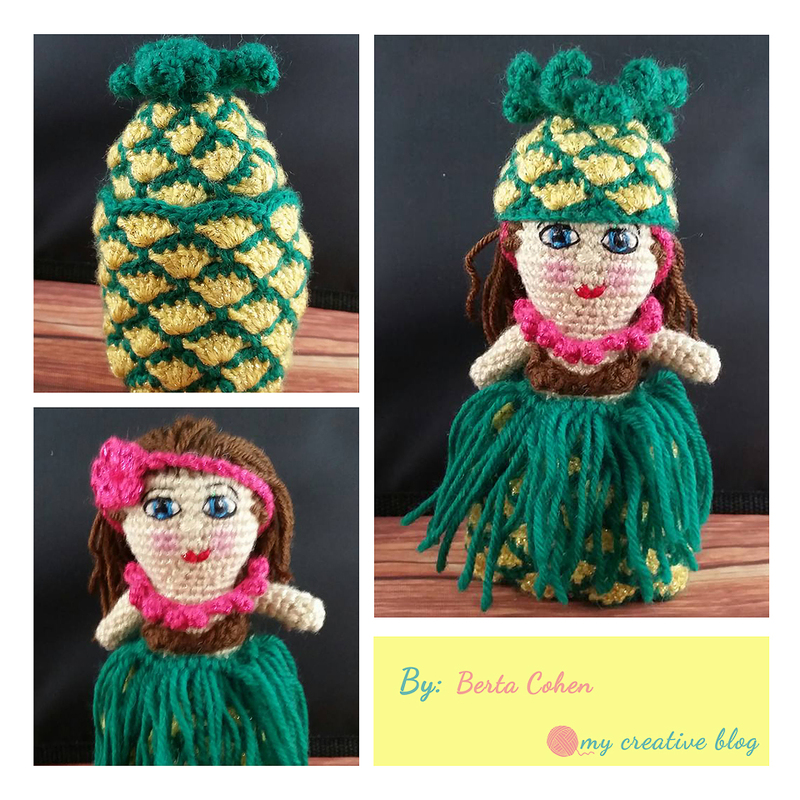 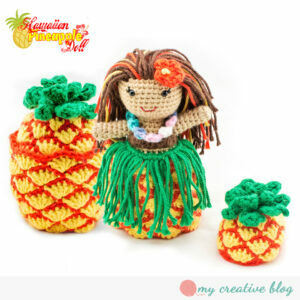 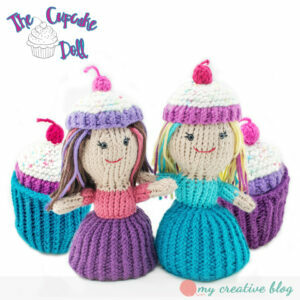 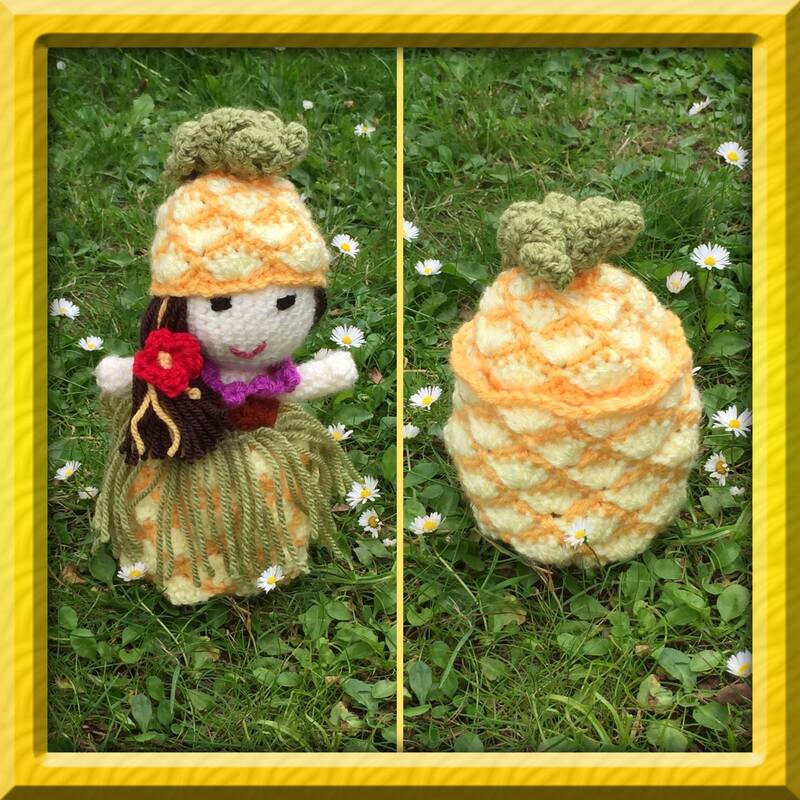 This got me to thinking about my topsy-turvy dolls and Pineapples and of course, a pineapple doll was born. 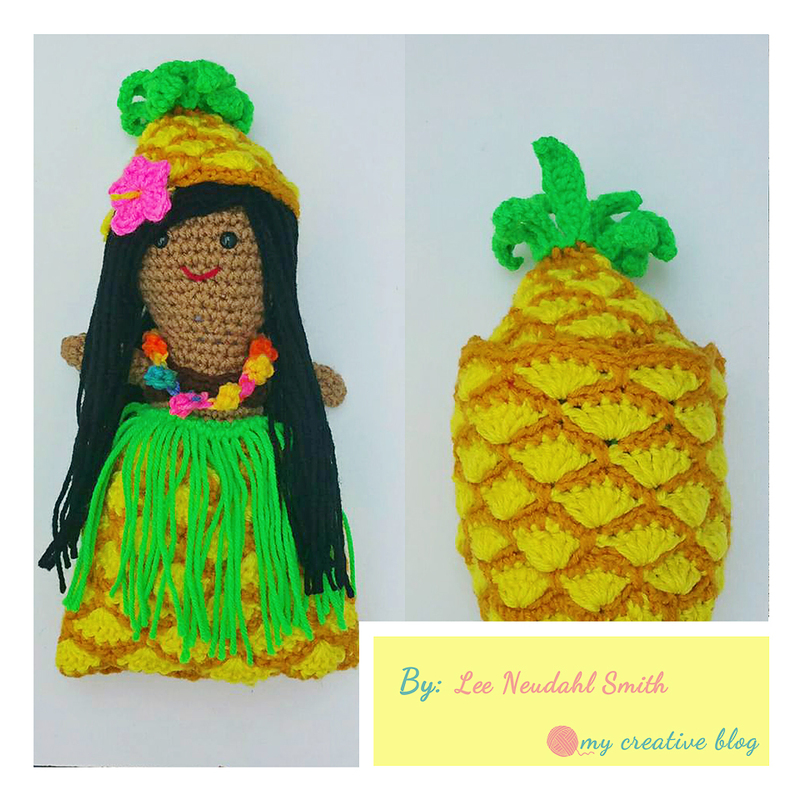 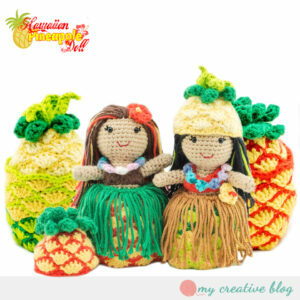 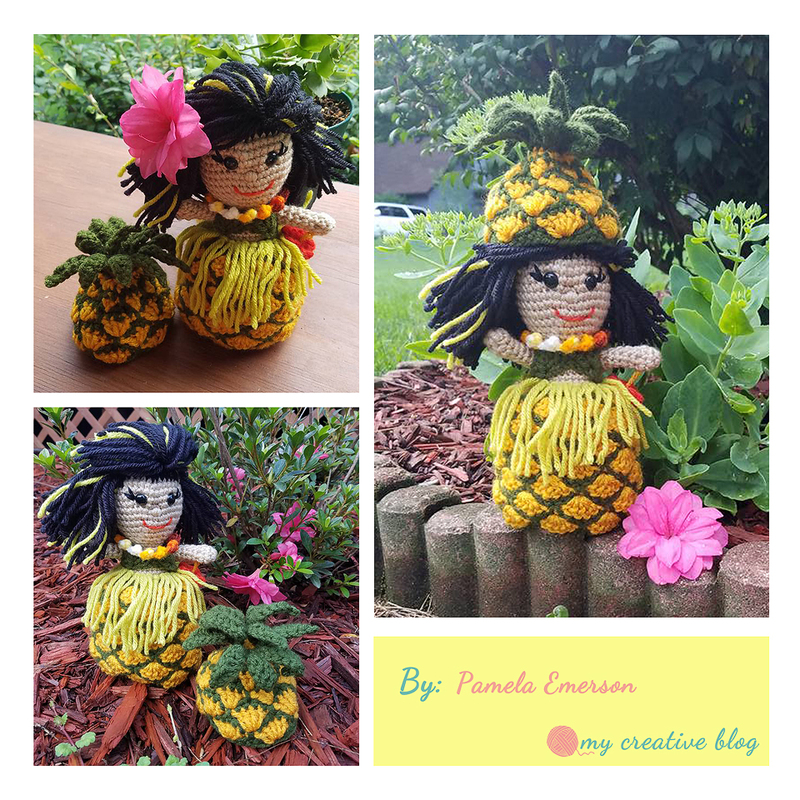 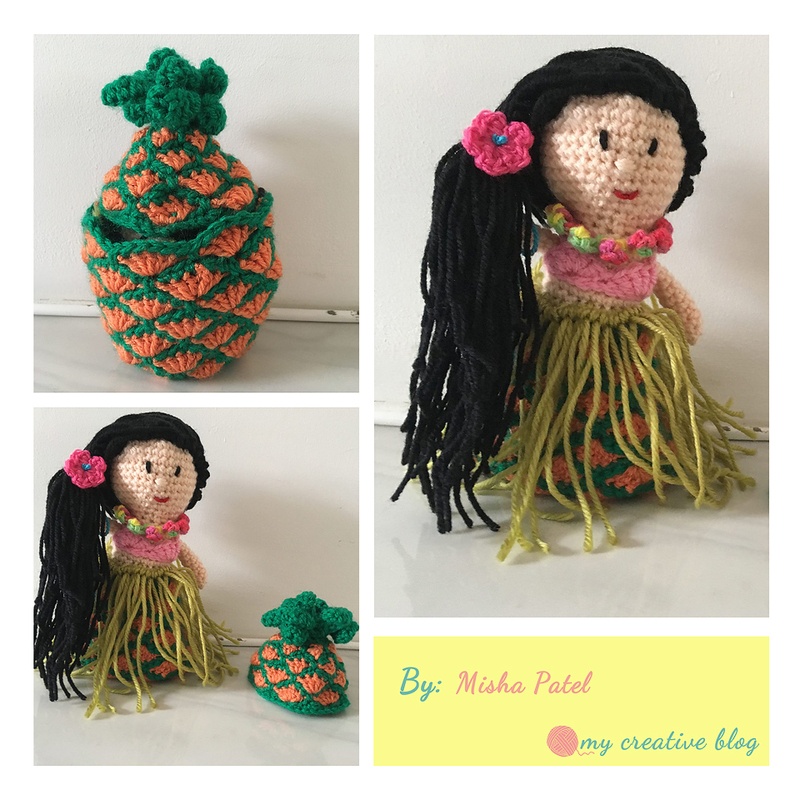 After working out the Pineapple details, it got me to thinking even more about summery things and thus I came up with the Hawaiian Pineapple Doll. Nothing says summer quite like a Hawaiian girl and Pineapples! 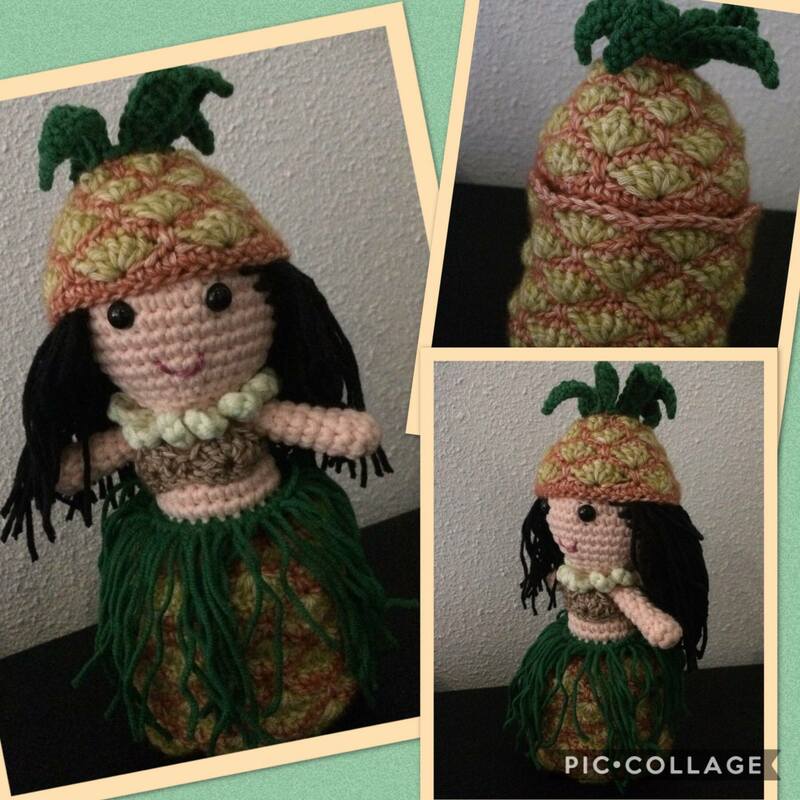 Worsted weight yarn in skin color (I used Hobby Lobby’s I love this Cotton! in Taupe) and 5+ colors for main Pineapple (C1), contrasting color to Pineapple color (C2), Pineapple Leaves, Bottom of Pineapple, Grass skirt, flower, shell top, hair, and variegated yarn for lei.